Whisky and the journey of discovery can be a daunting and ultimately, expensive business. 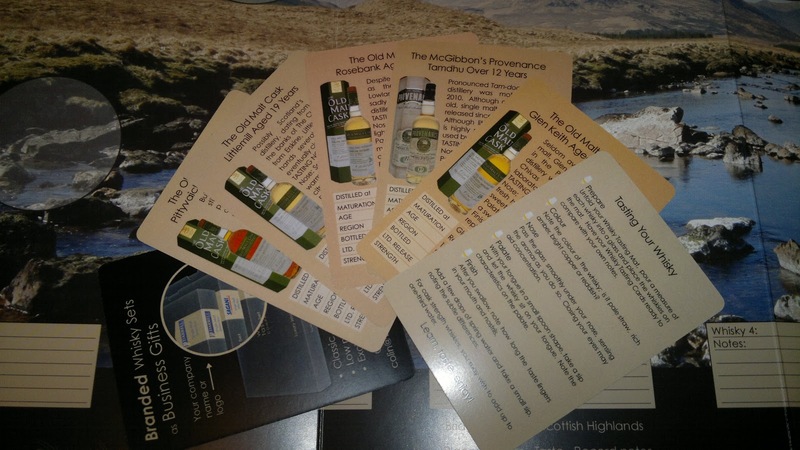 Hence the arrival of a relatively new company on the scene, the Whisky Tasting Company, which offers various sets and membership options to enable this journey to be a little bit smoother and lighter on the wallet. As with everything on this blog, this is my own purchase or in this case a welcome Christmas gift. 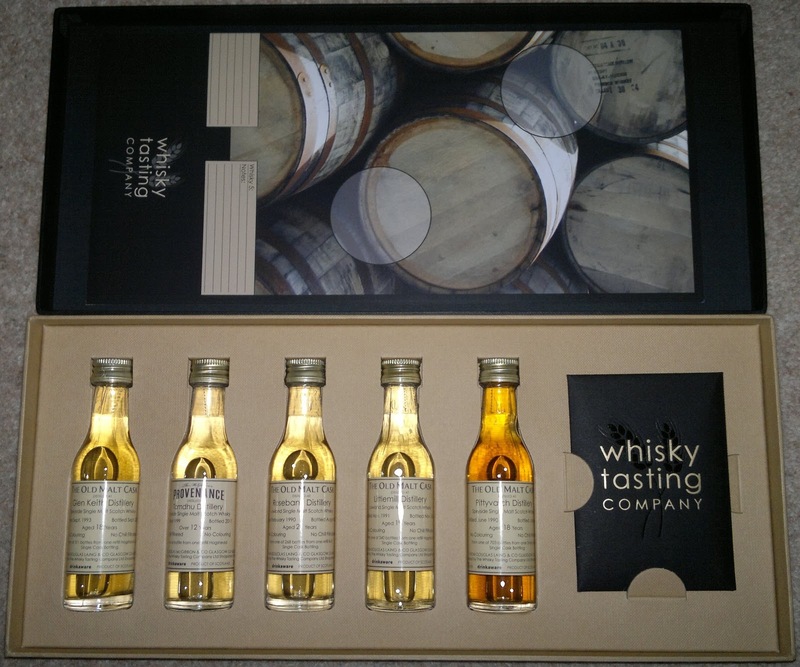 A variety of box sets are always on offer, this particular one is the Closed Distilleries of Scotland and unsurprisingly offers a selection of malts from 5 now-silent producers. 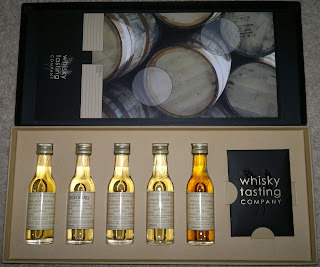 The contents of the sets tend to vary, as I've seen earlier releases include a Port Ellen release so there is much to discover. As the company take their stock from established 3rd party bottling companies such as Douglas Laing and Douglas McGibbon, a wide variety of choice is ensured. Other box sets are categorised by age (200 years!) or geographical (Islay) so there is something for everyone. Glen Keith (Old Malt Cask), distilled 1993, bottled 2011. Littlemill (Old Malt Cask), distilled 1991, bottled 2010. Pittyvaich (Old Malt Cask), distilled 1990, bottled 2009. 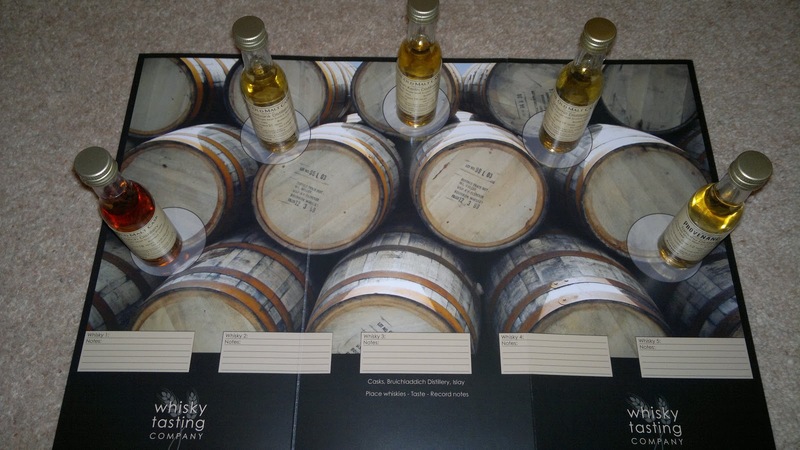 Rosebank (Old Malt Cask), distilled 1990, bottled 2011. Tamdhu (Provenance), bottled 1999, bottled 2011. These little nuggets will be hard to resist over the festive period. 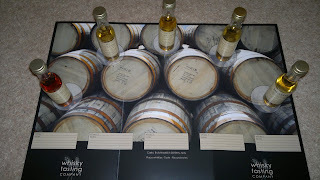 So expect some tasting notes and who knows, maybe I'll have to track down the full sized release. Merry Christmas! !